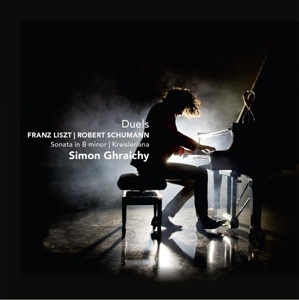 Simon Ghraichy is a pianist, and he doesn’t break the rule. Either in the Piano or in the Forte, his play relies on a unity built since his first encounter with the instrument, at the age of five. This mastery consists of three pillars: cosmopolitanism, singularity, virtuosity. Cosmopolitanism. 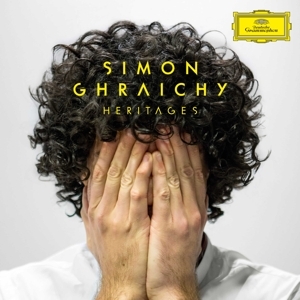 He juxtaposes his latino-american and oriental roots with the European sensibility and history of classical music tradition that he has learned besides masters such as Michel Béroff and Daria Hovora within the Conservatoire National de Paris (CNSMDP) or Tuija Hakkila at the Sibelius Academy of Helsinki. He strives to perform with orchestras and in the most diverse venues, searching for a new musical color at every stop (Brazil Symphony Orchestra, State of Mexico Symphony Orchestra, Cairo Symphony Orchestra, Lebanese Philharmonic Orchestra, Cuba National Symphony Orchestra, UniSA international music festival in South Africa, EXIT festival in Serbia, Isang Yun festival in South Korea, etc…). If his influences are multiple, his play remains nothing but singular. As every professional musician, he is unceasingly facing the tendencies, modish repertories, standard interpretations (that some would prefer calling « reference interpretations »). His answer? Conciliating the search for the «right» interpretation with getting a thrill out his performances … and therefor, giving pleasure to his audience. An illustration of his temperament? His graduation program at the Paris National Conservatoire has been qualified as « stupendous » by one of the Jury members. This preconception did not prevent him from obtaining numerous international distinctions: prize at the BNDES International Piano Competition in Rio de Janero, prize of the M.M. Ponce International Piano Competition in Mexico, prize of the Torneo Internazionale di Musica in Rome, Gyorgy Cziffra Foundation prize (etc.) and even, as an anecdote, the highest distinction unanimously awarded for the so-called « stupendous » program. Professors, juries, international press, audience, they all welcome his « virtuosity » (Dauphiné Libéré), his « temperament and power » (Wall Street Journal), the « clarity and cleanliness » of his touch (Jornal do Brasil) and his seeming facility of puzzling out the most arduous pieces.